Below is the correct way to preserve your wedding cake. However, I have a little tip a lot of you may not know: Most bakeries, now-a-days, will give you a receipt to bring back to them a few days before your one year anniversary that is good for a replica of the top of your Wedding Cake. So instead of freezing it for a year, you can have a fresh cake to enjoy with your man that hasn’t lost any of it’s flavor. However, if you are the traditional type, and you have to freeze your cake because your grandmother’s grandmother’s mother did, then follow the simple steps provided. 1. Have the catering staff remove the top cake layer and box it at the end of the night. 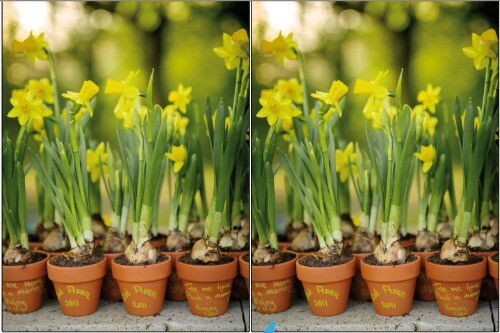 Ask them to remove any items that won’t freeze well, such as fruit or flowers. 2. 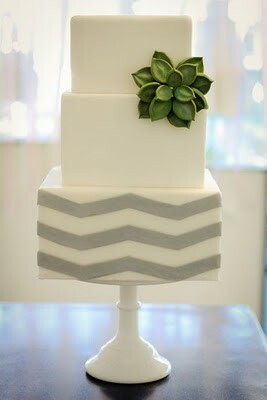 Ask a trusted wedding guest who lives nearby to take the top layer home with her. Have her freeze it right away for 2 hours to harden the icing. The person you ask should be someone you know well and who is responsible, since she will have to care for your cake until you can pick it up. 3. Take the cake out of the freezer and wrap it in plastic wrap three to four times. 4. Place the wrapped cake back in the cake box. 5. Wrap the entire cake box in three to four layers of plastic wrap. This will keep the taste and texture of the cake fresh. 6. Place the cake box back in the freezer. Leave it there until it is ready to be eaten next year. You really shouldn’t remove it from the freezer, even to transport it home, because that can disturb the moisture levels. If you feel it is too much to ask someone to store your cake in their freezer for a year, transport it quickly. 7. Remove the box on your first anniversary. Allow it to thaw in the refrigerator for 48 hours and then another 2 to 3 hours at room temperature. Invitation, ceremony/reception card, response card, response envelope, pew card or within-the-ribbon card, map/direction card, accommodations card, rain card, parking card………………..STOP! Are you kidding me!? That is way too many cards! 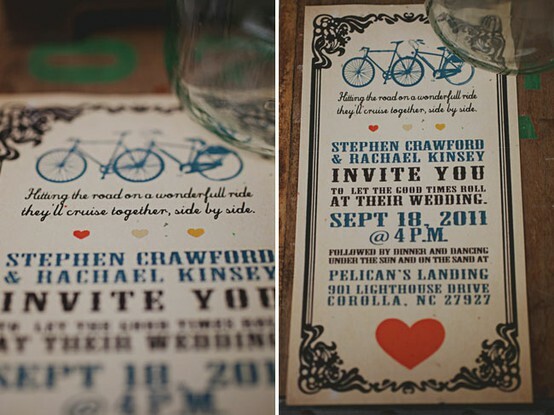 I understand that each of these cards serve a purpose, and this is the way wedding stationery has been done for years, but my goodness… there has to be a simpler, less expensive way to invite people to your wedding. Hire a graphic designer to design you ONE postcard. Front and back. Depending on where you get them printed, you can choose from several shapes and dimensions. The shape, along with the creative design that ties in the theme of your wedding will be enough to still make your stationery stand out. “But how can I possibly fit all of the necessary information on ONE postcard?” You don’t have to. Put just the cliff notes: Who, what, where, when and for more information guide your guests to you (drumroll) wedding website! Everyone has one these days. It’s so simple. You can get a free wedding website online and organize the pages & info any way you please. Several sites offer this, but my personal favorite host of these fabulous websites is TheKnot.com. Now you don’t have to pay ridiculous printing prices to get a million different sized cards printed and attempt to stuff them strategically in one envelope. Keep it simple and save yourself a ton of trouble. Who will design this and where will you get it printed? By us, of course! You don’t have to already be married for this fortune to apply to you, you may be engaged but already set a date for your big day, or maybe you haven’t set one yet…in that case, let this help you decide. It’s fun! “Marry on Monday for health, Tuesday for wealth, Wednesday the best day of all…” The month and day that you wed holds particular portent for your married life to come – you future health, wealth, and happiness can be determined by this timing. The months themselves hold individual meaning, and within each month are days that are particularly auspicious. Planning wedding events on or near those days is recommended. Choose wisely…..
January is named for the Roman god Janus, the god of the doorway. Hence January is seen as the “doorway” to each new year. Marrying in this month signifies that you and your mate will be open to new possibilities throughout your life together. Marrying early in January reflects your energy and self-reliance. 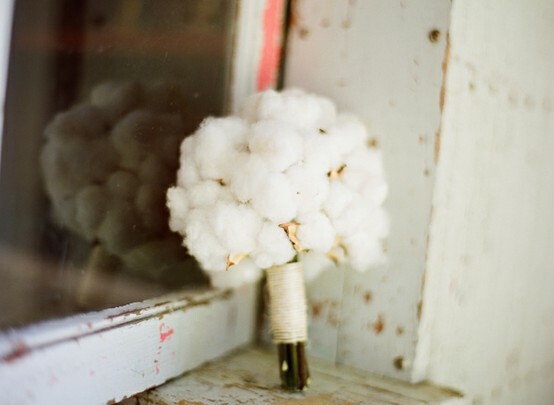 Trust yourself when making wedding arrangements; if you follow your instincts, you will have the ceremony of your dreams. A late January wedding will be a social event talked about for years to come. In Scandinavian countries, February is known as “the month of the pearl.” Marry in this month and the intensity of your love will be rare and valuable. A marriage between these dates assures children who will be devoted and caring. Marry in this time period and you will have rare good luck all your lives. 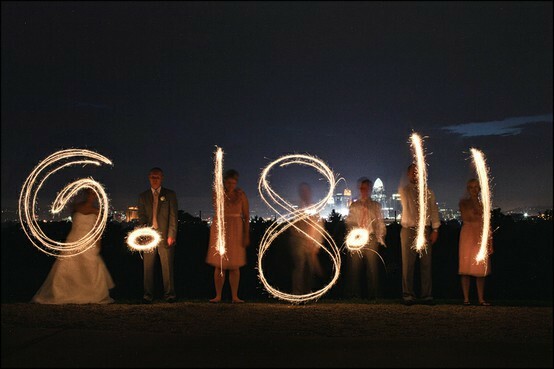 A wedding on February 29 of a leap year will bring especially good fortune. March is a month of newfound clarity. Plan your wedding for March and you and your husband will be assured a mutual understanding that will only grow with time. In many cultures, March signifies the beginning of the new year. Marry in the first two weeks of March and your like together will never grow stale. 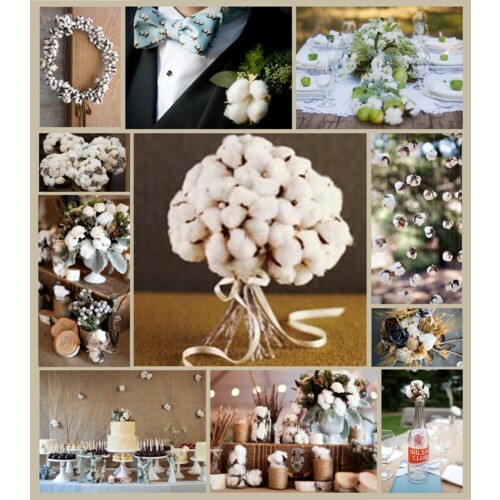 Usher in spring with a late March wedding, especially on March 21, and you will have an easy time in childbirth. A wedding in April has the potential to be a fairy-tale event if you are willing to commit the time and energy to planning it. People trust you, and you have the ability to handle a great amount of responsibility. A career in politics may be in your future. Grace Kelly married Prince Rainier on April 19, 1956. You too have a royal bearing and great beauty. Accentuate it by marrying in this time period. May is “the month of mothers.” Honor your maternal lineage, and set the stage for motherhood in your own life, by marrying in this month. You will receive and unexpected inheritance from a relative you never knew. Spend it on education for your children, and the rewards will come back to you several times over. You will have many children and even more grandchildren. Your retirement years will be comfortable and secure. Juno, the goddess of marriage, rule this month. More weddings take place in June than in any other month, and for good reason – Juno ushers in prosperity and joy to couples. Secure your own happiness with June nuptials. A new career opportunity will come your way during the first five years of marriage. Even though it involves a move to a far away city, you should take it. You will meet unusual and compelling new friends through charity work you are involved in. This month plays host to weddings fit for royalty. On July 29, 1981, Lady Diana Spencer wed Charles, Prince of Wales, in an unforgettable ceremony watched by millions. Stage your own princess wedding in July, and all eyes will be on you. You will embark on many business ventures. Most will fail, but the few that do succeed will gain you fame and fortune. You will always have good luck in the summer months. Marry in August and later in your marriage you will be rewarded for your hard work and commitment. You will find your greatest happiness in marriage and motherhood. Though you can be impulsive, your instincts are usually correct. Continue to follow them. Travel is also in your future – at some point in your life you will live overseas. An old rhyme states, “Marry in September’s shine, your living will be rich and fine.” It’s true. 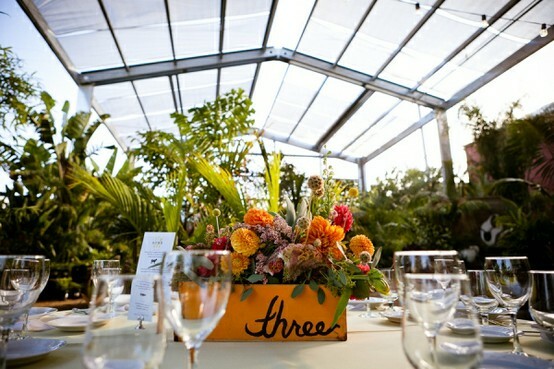 Plan your wedding for this month and you will garner material possessions as well as much happiness. You will be blessed with many opportunities throughout your life. Don’t hesitate; reach out to them as they are offered to you. Chances you pass up may not come again. Keep your heart open. A friend with whom you have had a falling out will try and reconcile things. October is an auspicious month for new beginnings. Marry in this month, and later on in life you will find October to be a fortuitous time for starting new ventures and projects. Your marriage will be tested in its first few years by an unexpected event – but keep your mate tightly by your side and you will come through even stronger than before. An unexpected prize will be yours; to hasten its coming, enter contests and raffles. 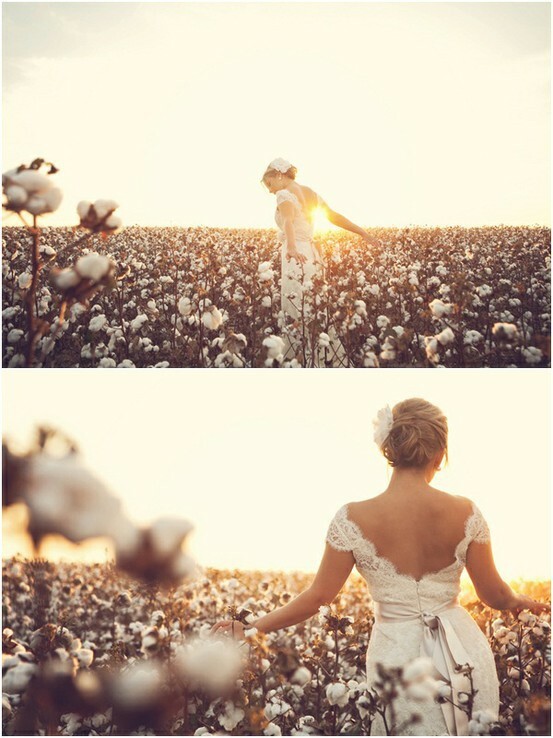 November brides tend to blaze their own trails in life. Harness your originality – a unique business prospect may be in your future. You will travel extensively for your chosen career, but your greatest happiness will always come in returning home. You are very self-reliant. Lean on your partner, friends, and family more, and it will pay off. End the year with a wedding in December and it will garner you and your husband protection from harm. You have never considered yourself very creative, but be patient: Later in life, you will be the brains behind a new invention. Remember to look forward, not back, and success in all its forms will be yours. Which one are you? Was it true for you? Or was it way off? Share with us. At a Restaurant: The two of you have expensive and cultured tastes. Fortunately, you will have the means to afford the lifestyle you desire. If you became engaged at a restaurant you had been to before, you already have your wealth, or it will follow quickly after marriage; if the restaurant was new to you, your fortune will come with time. At Home: Neither of you is exceedingly outgoing, but in smaller groups you can prove to be very entertaining and gregarious. You will be liked a great deal by friends and acquaintances, and you will be exceedingly affectionate with your children. By The Ocean: At one point you believed you might never marry, butting getting engaged by the ocean (especially at sunset or sunrise) symbolizes the freedom and sense of self that you will retain in your future marriage. You’re ready for this next step; embrace the possibilities with open arms. Near Water: If you became engaged by a river, lake, or waterfall, the two of you will meet a new couple in the first year of marriage who will change your lives for the better. Over Water: If the proposal took place on a boat, you and your mate will find great pleasure in helping others together. If it happened on a pier or jetty, the two of you will take enjoyment in nature and the outdoors. By The Trees: Trees are symbols of life and the soul. Becoming engaged under a tree symbolizes that you and your future husband will shelter each other all your lives, and serve as a grounding influence for each other. Becoming engaged under a fruit-bearing tree, or a tree with new buds, represents fertility in your marriage. Near Mountains: Mountains are good omens. Becoming engaged on a mountaintop foretells a marriage in which the two of you will win fame and recognition. On the other hand, becoming engaged at the base of a mountain, or within view of mountains, means that you and your partner will gain strength from each other for all your lives. In The Air: An engagement in an airplane, a hot-air balloon, or other flying craft symbolizes the potential for you and your love to reach great heights. You are known for your optimism and good humor, while he is thorough and diligent. You’re better together than apart – pool your strengths and you will be unstoppable. On Stairs: Stairs represent decisiveness. Becoming engaged at the top of a set of stairs, or on an upper story of a building, points to the fact that the future marriage is exactly the right decision. A spiral staircase has much the same portent, but also augurs longevity for the couple. And an engagement on a balcony means that you and your love may spend long stretches of time apart during your marriage – but these absences will not dull the feelings you have for one another. How did your man propose? Last year my Husband I took a trip down to Naples, Long Beach. We weren’t married at the time, we had actually just met the month before. It was Nov 14, 2010. It was a gorgeous day. We went to Huntington Beach first, and then down to look in the shops on 2nd Street in Belmont Shores. He is from Indiana, so I wanted to show him all of my favorite parts of California. We had an amazing time. Well, we went into my favorite store down there called “Romance, etc.” and we went upstairs and looked at the books. We found the book “Fortune Telling for Brides” and we read it together. I felt all tingly and excited because it was talking about brides. And he seemed interested in it, so the thought crossed my mind that maybe he was thinking he wanted to marry me. Haha. He asked me if I wanted him to buy it for me, but I said no because I’m not a bride, or engaged, etc. So he said okay. And we left. (I really did want it, badly) Next we went down to the canals in Naples. 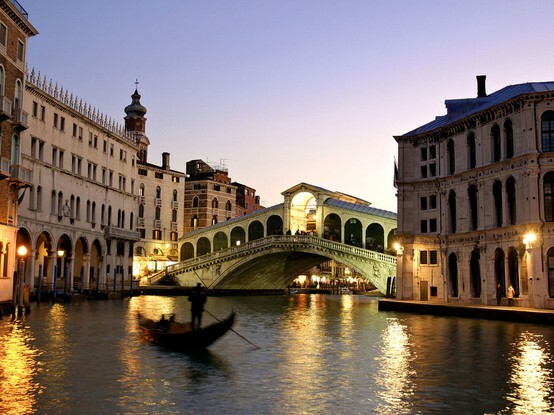 It’s a little neighborhood on the water that literally makes you feel like you’re in Italy. We went on a Gondola ride. For those who don’t know what that is, it’s a long canoe-type boat where a man in a striped shirt stands on the back of it and rows. It only seats two, sometimes four, and it’s VERY romantic. They played music on the boat…all of my favorites: Dean Martin, Frank Sinatra, etc. And that was the night Hunter told me he wanted to marry me. Now, it wasn’t a proposal…but just to know he was considering it, was so nice. I was so happy. The next day, I drove all the way back to that store on 2nd street from San Diego while he was at work, and bought the little book. Then that night I showed it to him and we sat on base and looked through it all. So I’ll be sharing pages from it every now and then. I think it’s super fun! It was going to be my (something blue). Hidden Ring: If your engagement ring was hidden in something (a champagne flute, a box of chocolates), your life together will be full of excitement. Expect many happy surprises in the years to come. On Bended Knee: If your husband-to-be got down on one knee and proposed, it is likely that you will be parents to three or more children. On Vacation: Your life together will include much time for leisure. It is possibly that either you or your husband will have a career in academia. On A Holiday: Your marriage will be marked by a deep and abiding passion for one another. Your lives will be busy-but remember to set aside time to be alone together. On Your Birthday: You will always be first and foremost in your true love’s heart, and you will return his feeling with equal ardor. In Front of Friends or Family: As a couple, you will seek the company of others frequently, and will have a thriving social life. In Public: You will take big risks together. But don’t worry – they will pay off. In A Written Message: If the proposal came tucked in a fortune cookie, carved in the sand on a beach, as a message in a bottle, or in some other written form, your life together will be an unconventional one, but you will always be happy. Hold fast to your convictions – do not be influenced by what others think. If You Did The Asking: You will be the outwardly dominant member of the marriage. You are a discerning judge of character and you surround yourself with only those who have the highest ideals. Luckily, your husband-to-be fits the bill! Tell me your story! I’m eager to hear which one of these relates to you! If you’ve attended a wedding you may know what I mean by this. When planning your wedding, you always think things are going to get done quicker than they actually will. I’ve seen this scenario several times. After the ceremony is typically when the guests meet for cocktail hour while the bridal party take their professional photos. However, professional photos usually will not be accomplished in thirty minutes, no matter how optimistic you are. Of course this depends on the number of people in your party, as well as how many poses you want in your photos. But normally, it takes some time. Not only are your guests hungry, but you will want to mingle with them during this time, because the rest of your day is filled with non-stop activities. Here are a few ways to avoid the “unintended 2 hour – Cocktail hour”. -Before the wedding day, scout out your ceremony site and/or reception venue (and have your photographer do the same) to determine the best settings for formal photographs; you don’t want to waste precious time on the day of your big event trying to figure out where to pose. -If you would prefer that you and your groom not see each other before the ceremony, think about taking the formal shots that don’t include both of you ahead of time. 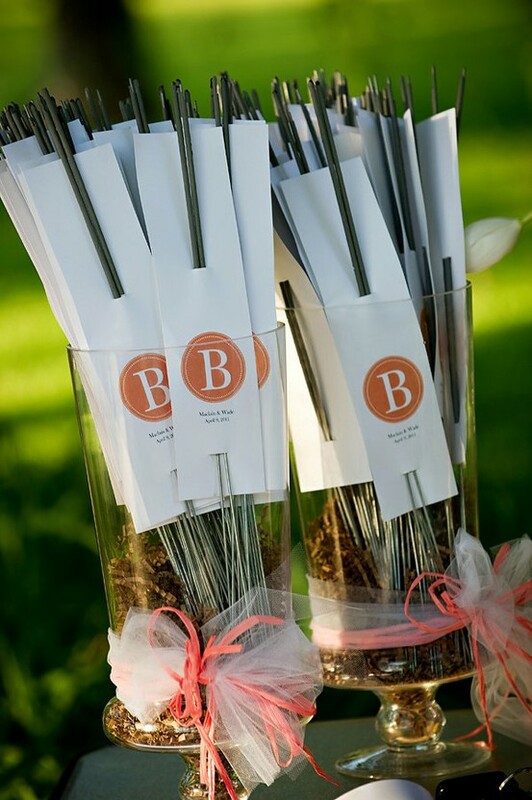 Again, this will allow you to spend more time celebrating with your guests. Take it from me, taking these extra precautions will save you time and keep your guests from becoming impatient and starved. 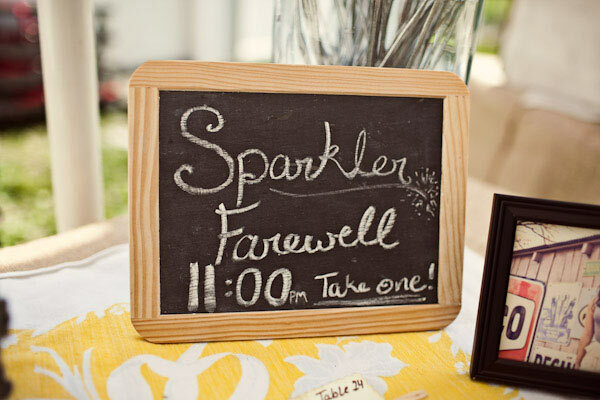 DO provide your guests with sparklers to light and wave as they send you off at the end of the night! It is a timeless tradition that makes for the best photos! 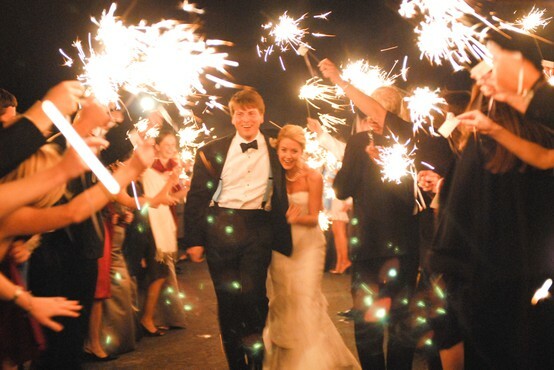 Personalize the sparklers by tying them into the theme of your wedding! 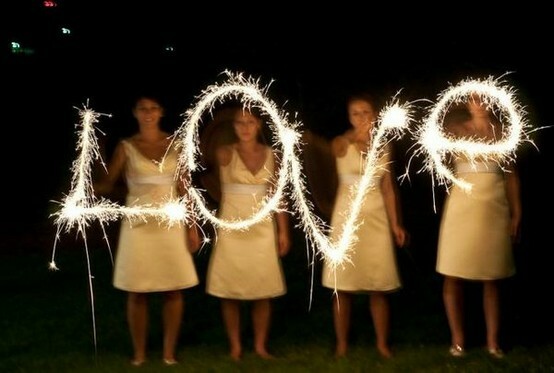 Have the photographer capture your bridesmaids or guests spelling out words with the sparklers. Now, don’t get me wrong…I’m a big fan of tradition. But there is something so refreshing about a bride that thinks “who says all of the chairs have to be lined up in rows of tens separated by an aisle down the middle?”. No one says, that’s just the way it’s always been done. Not in this wedding. Change up your seating. Be adventurous! Make a statement! When you’re guests see this new arrangement, they’re going to expect the rest of the day to be filled with exciting experiences. 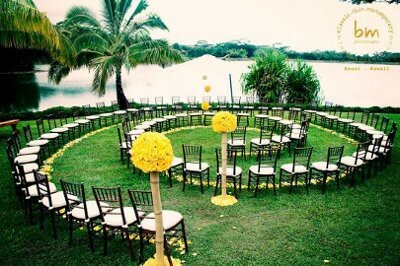 I love this circular aisle because it feels like your guests and loved ones are all around you. There’s no longer an imaginary line separating you from them. 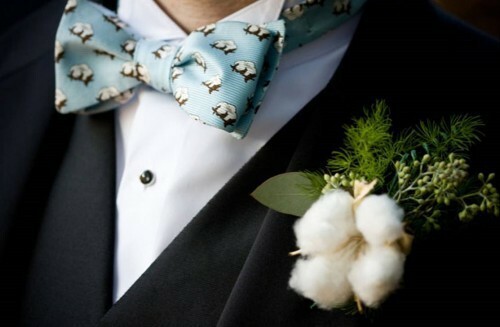 Plus, everyone will get a great look at the bride as she walks down the aisle.